Pests is lethal to plant parasitic nematodes (PPNs), but has been classified as having no harmful effects on humans, animals, or the environment, which means it does not appear on the MRL (Maximum Residue Limit) list regulating ingredients growers can use on exported crops. The Kenya Plant Health Inspectorate Service (KEPHIS) in collaboration with USAID Feed the Future Project last week conducted a three day training of 50 technical personnel from the horticulture industry on safe use of pesticides to ensure food safety. The event consisted of theoretical and practical sessions that aimed at educating participants on Quality Management Systems (QMS) that aids in planning, assurance, control and improvement of systems to ensure food safety. At the official opening, KEPHIS MD, Dr. Esther Kimani urged the stakeholders to produce the best agricultural produce to increase its demand in the international markets. She emphasized that market requirements are becoming more stringent and must be met. “There are 196 blacklisted molecules in the EU which are 70 fungicides, 64 insecticides, 53 herbicides, 15 fumigants and 11 plant growth regulators that contain acephate, methamidophos, carbofuran, dimethoate, omethoate, chloropyrifos, dimefuron, fenthion, profenofos and carbendazim, said Benard Okonda, an Analytical Chemistry Laboratory analyst. Participants were taken through the new market requirements to ensure compliance as new regulations were put in place since January 2018 due to the False Codling Moth (FCM). According to Horticultural Crops Development Authority (HCDA), the industry regulator, 17 out of 29 produce rejections at the European Union markets in 2017 were due to the False Codling Moth (FCM). “The European Union is watching our trends in terms of pest management, while the Australian market requires no live insect on produce exported there,”said Debora Shituvi, a KEPHIS inspector. Kenya, being a member of the Organization for Economic Cooperation and Development, its fruits and vegetables must meet the minimum requirements such as being sound, intact, use of right labelling to enable traceability, rightly packed and free from harmful organisms to avoid interceptions, stringent measures on arrival to the international market and to ease pest management. James Woto, from the Analytical Chemistry Laboratory (ACL) emphasized that calibration is important as it ensures correct amount of pesticide is applied uniformly over the targeted area hence, preventing wastage and ensure that there is no residues in crops being sprayed which results to consumer protection. He noted that errors are brought about by worn out pumps or nozzles, improper cleaning methods, mishandling, uncalibrated pesticide spray equipment and lack of supervision and monitoring during spraying. Linda Maina, also from the ACL took the trainees through the QMS which consists of quality planning, quality assurance, quality control and quality improvement. She noted that during documentation, a hierarchy consisting of manual, policy, procedures, work instructions and records should be noted. “This is important because it helps in improving processes, reducing waste, lowering costs, establishing a process based work approach, engaging staff, determining of customers and their requirements and setting organization’s direction. In addition, the trainees were taken through the maximum Residue Limits (MRL) setting, testing and decisions on compliance which are based on the CODEX standards. A representative sample is obtained from a lot for analysis. 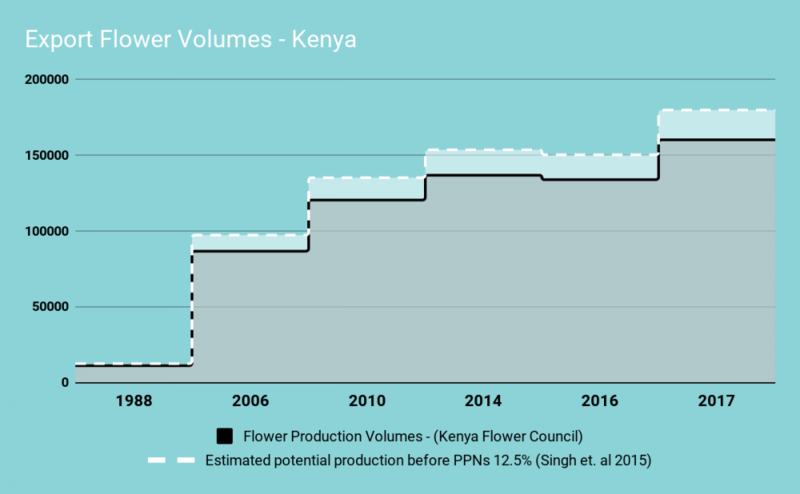 The EU has placed Kenya on the radar as one of the countries with 10 per cent increased Maximum Residual Levels (MRLs), which are the set legal levels of concentration of pesticide residues in or on food. The trainees were also taken through a practical session in Naivaisha where they learnt how to calibrate spraying equipment and speed used while spraying to ensure uniformity of pesticide applied. They also learnt about scouting for pests and diseases and sampling for pesticide residue analysis. Roundworms are parasites found in the large and small intestines of sheep and goats. They suppress body weight by up to three kilos. The worms lay eggs that are passed out in droppings to develop into effective larvae on pasture. Farmers can identify animals infected with roundworms through symptoms such as being dull, loss of appetite, swelling under the lower jaws, diarrhea, pale eyes and death in severe cases. To control this, practice pasture rotation as this reduces re-infection. 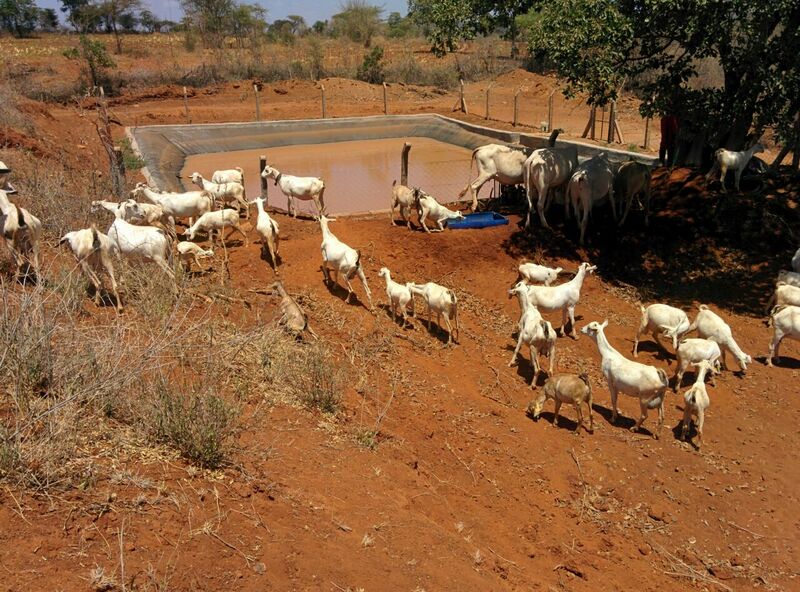 Also avoid communal watering sites and roadside grazing as they act as sources of infection. If animals are fed indoors, keep them on a slatted floor. Construct feed and water troughs on the wall to avoid contamination. De-worm newly purchased animals 48 hours before bringing them into your farm. Administer albendazole drug at the rate of 10mg/kilo body weight. Fendenbazole is given to the animals at the beginning of the dry season at the rate of eight milligrams for every kilo of the animal. While administering drugs drench over the tongue for maximum drug availability especially in the morning before animals feed. In cases of resistance give two full doses at a 12hr interval and dose goats at 1.5 times the dose of sheep. In the Coastal strip and lake regions eggs develop to infective larvae very rapidly but high temperatures kill them within a month. In this, treat all animals just before the rains and only treat sick animals. Tethering and moving animals to new sites every three to four days is effective rotation. By controlling roundworms farmers will earn more income from their sheep and goats as the animals will increase weight by at least five kilos.